We stock a large selection of points for early model Honda Yamaha Kawasaki and Suzuki motorcycles. All types we sell are OE type. 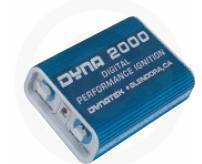 We also have the full selection of Dyna S and Dyna 2000 electronic ignition systems. Scroll down or use links below to see our selection. ALL of the points we sell are MADE IN JAPAN. Top quality OE or better. Points 15.95 a pair. Be sure to check how many points you have in your bike. All of the bikes listed in these boxes require ONE point. PLEASE COMPARE YOUR POINT TO THE PICTURE. NOTICE THAT ONE STYLE USES A SINGLE SCREW MOUNT AND THE OTHER IS DUAL SCREW. ALL APPLICATIONS BELOW USE ONE OR THE OTHER. THESE BIKES HAVE INTERCHANGEABLE POINTS PLATES SO THEY COULD BE DIFFERENT THAN THE YEARS STATED. PLEASE MAKE SURE. BOTH USE THE SAME CONDENSER. All of the bikes listed in these boxes require THREE points. IF YOU ARE BUYING POINTS FOR ANY OF THE SUZUKI GT MODELS LOOK AT THE PICTURES AND COMPARE CLOSELY TO YOUR EXISTING POINTS. THESE MODELS HAVE INTERCHANGABLE POINTS PLATES AND SOME CAME EQUIPPED WITH KOKUSAN POINTS AND SOME WITH NIPPON-DENSO POINTS. THIS MEANS IF YOU DO NOT INSPECT BEFORE BUYING YOU MAY ORDER THE WRONG TYPE IF THE ORIGINAL PLATE WAS EVER CHANGED OUT FOR THE OPPOSITE STYLE. ALL of the condensers we sell are MADE IN JAPAN. Top quality OE or better. Condensers 5.95 ea. Be sure to check how many condensers you have in your bike. These kits are designed to replace the factory points and condensers FOR GOOD! You install the plate in place of the original points plate. NO OTHER PARTS NEEDED FOR INSTALLATION. You can use this with your factory coils or high-performance coils. Make your bike more efficient and easier to start. Allow extra 2-3 business days delivery time.